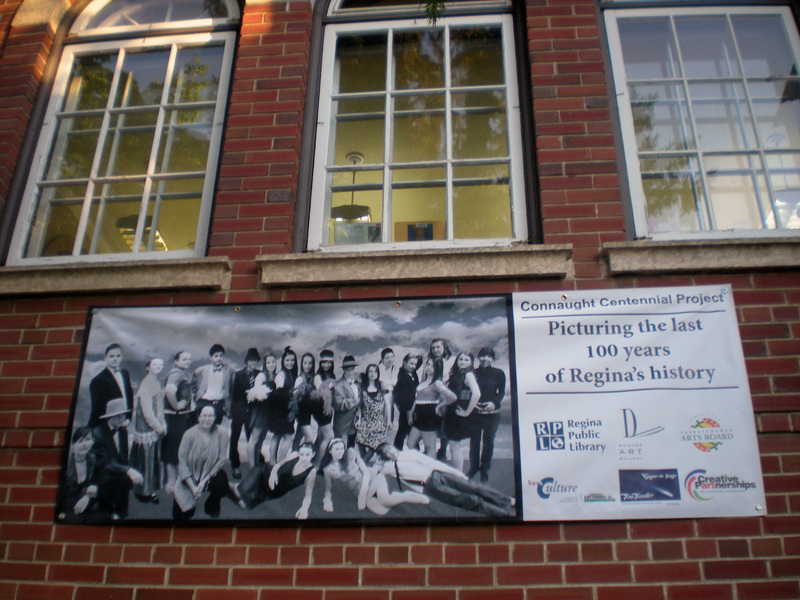 Connaught Centennial Project involved students of École Connaught Community School and media artist Janine Windolph. 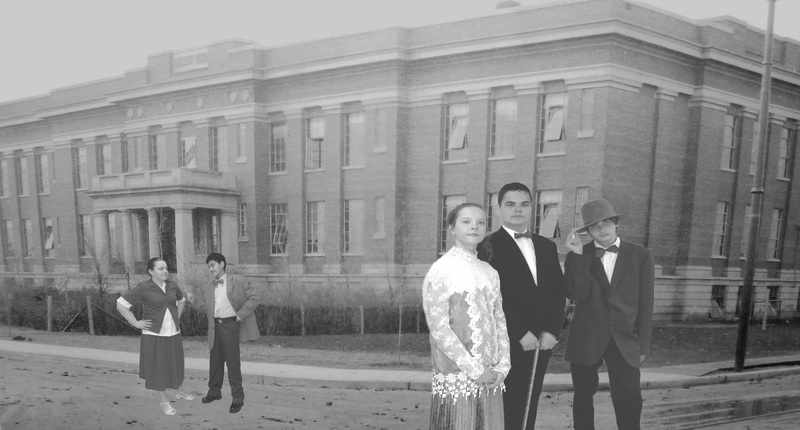 By researching the last 100 years of Regina’s material culture, the students were able to create their own staged picture of how they might have looked during various decades of Regina’s past and how they might look in Regina’s future. Special research partners included Kathleen Harel, Gerri Ann Siwek, Tanya Rogoschewsky, Wendy Peart and Mary P. Chan. Our decade is the 1910s. We chose this time period because if was so long ago and we don’t know much about it and because of lot of this project is about the centennial of our school. Connaught opened during the 1910s, which was 100 years ago. We chose to make Connaught our background because it summarizes what the whole project is about. The photo of our group is supposed to represent everyday life at that time. From our 1920s vignette we have learned a lot of information about this time period. We decided our background was the town at night near an old casino. 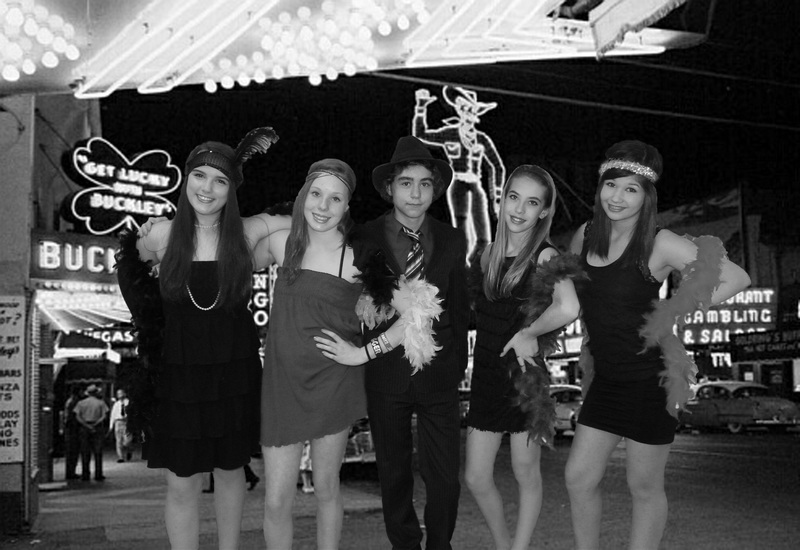 We decided to be flappers with the exception of Simon, the male at the centre, who is a well-dressed gambler. The time period was interesting for fashion. In this picture we were trying to capture multiple aspects of the 50s, such as politics with Tommy Douglas and fashion with slicked-back hair and poodle skirts with a backdrop of a busker and a classic diner. We chose this particular picture because we thought it was a very good action photograph. Also we portrayed Tommy Douglas and Irma Demsy as a couple. 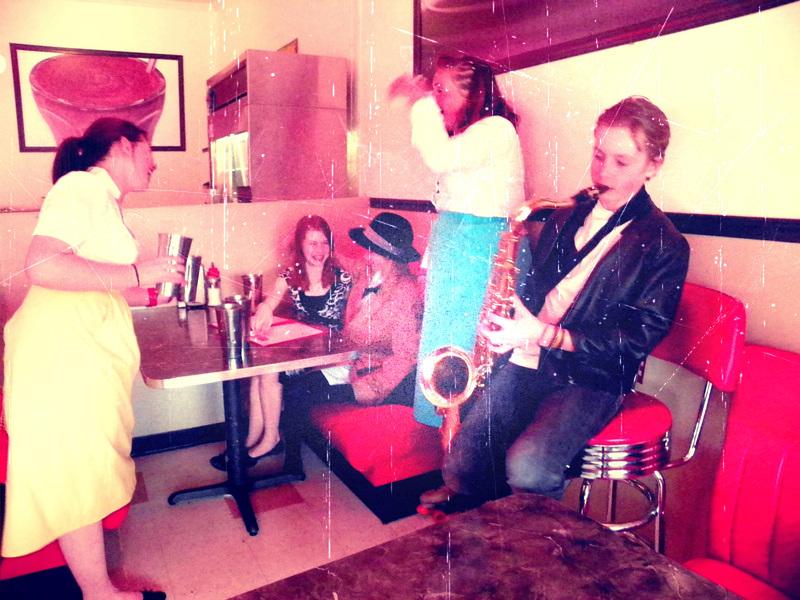 In addition the busker is playing the saxophone and the waitresses are serving food on roller skates. 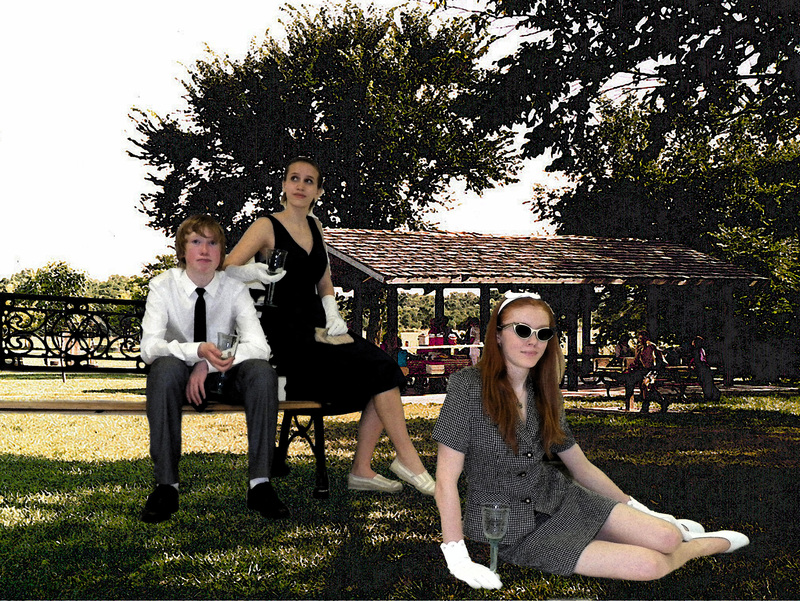 We chose to convey the early 1960s with a trio of classy Canadians enjoying an afternoon cocktail in the park and the relaxed life of the wealthy. We were drawn to the 1960s from the start because we were interested in hippies. We found an images from the TV show ‘Mad Men’ which gave us the inspiration to look to the early 1960s when people wore classier clothing. We pretended we were in the 10-day heat wave of early June, 1961, that was the hottest month in Western Canadian history and influenced the scene in this picture. The Future? You can choose. For this photo we chose to represent 25 years in the future. We asked ourselves, what could life be for our future generations? We looked at current fashions and compared trends of the past. We found this image in the banner represents the possible downfall of our identity via social expectations that affect our fashion and environment. Are we being true to ourselves or are we what mainstream society makes us out to be? 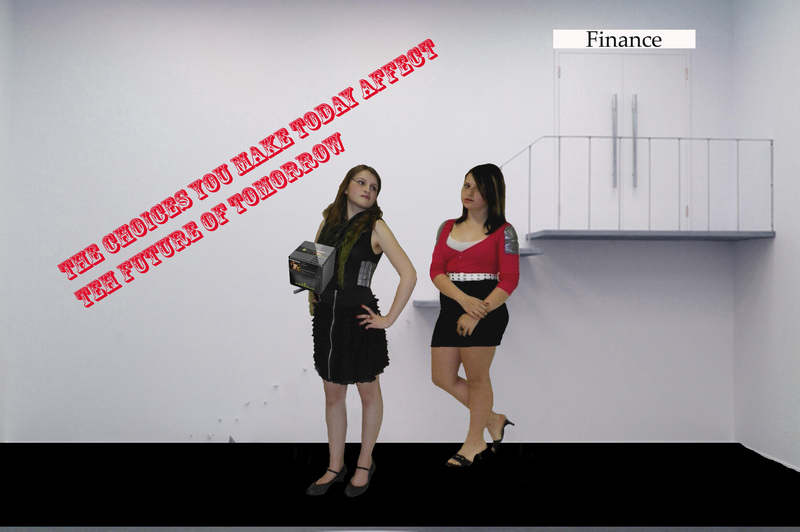 We chose to portray the ability to make a choice. What we do can impact the vision of the future, and how it may look.